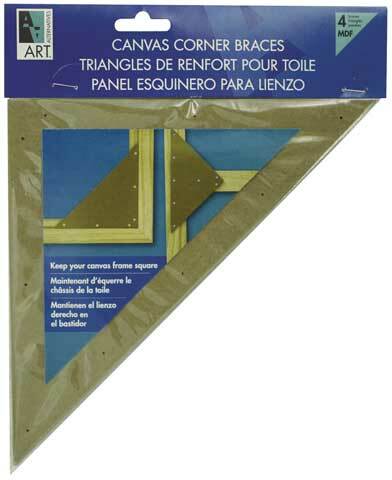 Whether you buy your canvas ready-made or make it yourself, these MDF corners are the perfect way to keep them square. They are also a great way to securely attach cross-braces. Each package contains four 8" MDF corners with pre-drilled holes to make attaching them easy.